Honda Clarity 2017 review | What Car? Since the early 2000s, car manufacturers have been telling us that hydrogen fuel cell cars are about five years away. 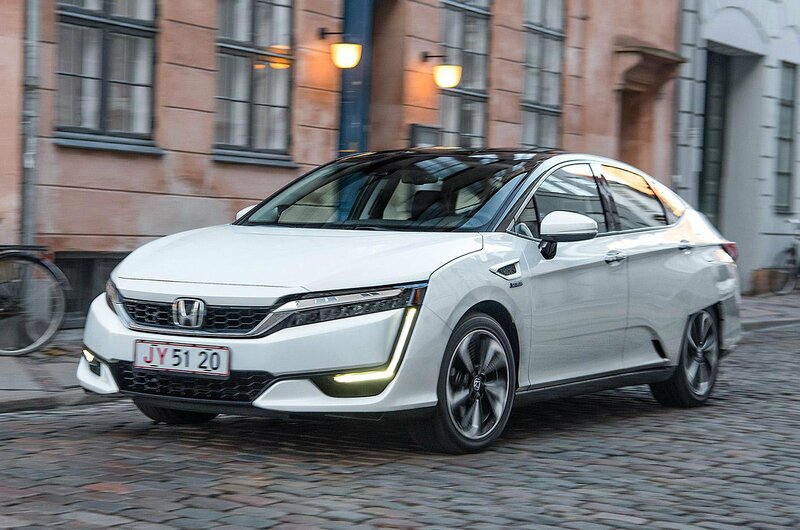 The Honda Clarity is one such car, but the bad news is that it's still 'five years away'. Or at least, it is for most people. 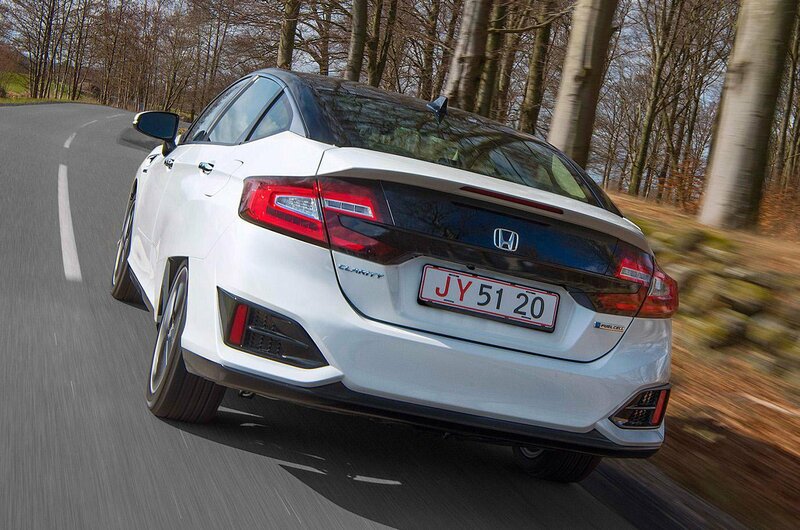 Honda is allowing a few interested European companies to run small fleets of them, but you won’t be able to buy a Clarity outright until the next-generation model arrives in 2022. True, the Clarity you see here is on sale in tiny numbers in Japan and the US, for the equivalent of £40,000, but there's no such deal in the UK. So, why should you be interested? Well, even if you don’t work for one of those few companies, the Clarity remains a glimpse into the future. Fuel cell cars mix oxygen from the atmosphere with hydrogen (stored in a fuel tank) to produce electricity, which in the Clarity is used to drive a 174bhp electric motor. The major benefit is that the only tail-pipe emission is water. And while there aren’t currently many hydrogen filling stations in the UK, if you can find one, you can fill the tank in about the same time it takes to refuel a petrol or diesel car, instead of the half an hour recharge you currently have to endure with a regular battery electric car. What's the Honda Clarity like to drive? Like its rival fuel cell vehicles, the Hyundai ix35 Fuel Cell and Toyota Mirai, the Clarity is reminiscent of an electric car in the way it drives. Maximum torque is available the instant you pull away, so performance is strong. Plus, the Clarity has accurate accelerator responses and you get a smooth flow of power due to the complete absence of gear changes (there's only one gear). 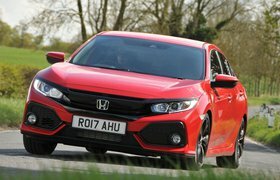 The powertrain is also very refined, with just a faint gurgling from under the bonnet, and a distant whine when the car is slowing as the regenerative braking system recovers energy. You can increase the feeling of deceleration (and the amount of energy that’s recovered) by pressing a Sport button on the dashboard, but otherwise this has little impact on the Clarity’s character. The ride is flat and composed, the steering well weighted and the handling predictable. This isn’t a car that you’ll enjoy driving quickly down a winding road, though, because you’re always aware that it’s a big, heavy beast. 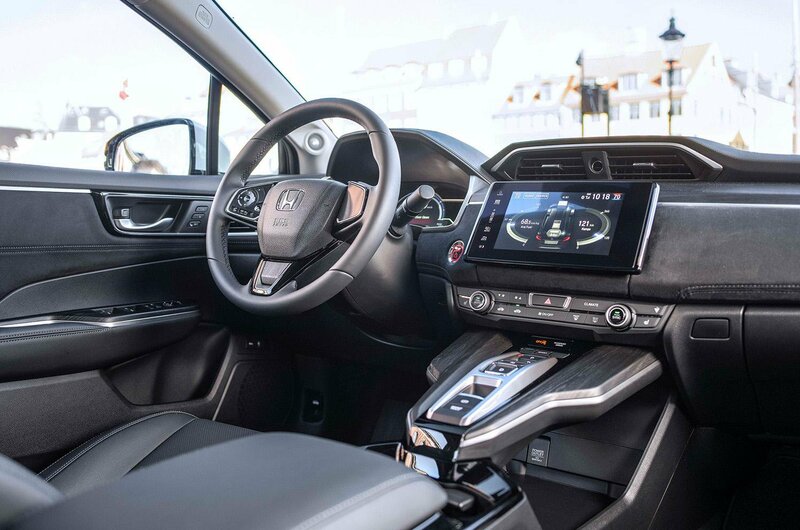 What's the Honda Clarity like inside? The Clarity's interior is nowhere near as plush as those found in the best conventionally powered saloons. However, it’s comparable to the Mirai’s and a definite upgrade on the ix35 Fuel Cell's. Everything feels solidly constructed, plus there are simple rotary temperature controls for the air conditioning. Sadly, the touchscreen infotainment system is pretty clunky to use, because many of the icons are small and fiddly. The Clarity is 4.9 metres long, about the same size as the BMW 5 Series luxury saloon. Unsurprisingly, then, there’s plenty of space for four adults inside. But while this is the first fuel cell car with seating for five, the central rear passenger has to straddle a large raised tunnel, so won’t be particularly comfortable. No luggage capacity figures have been released, but some boot space is clearly lost to the main hydrogen tank, which is behind the rear seats. Honda claims you can fit three sets of golf clubs in the boot, and that’s probably true. But sliding a wider, flatter suitcase over the top of the step in the boot floor would be more of a challenge.